Brenton Pratt a.k.a. Brenton Stringy Bark, artist, 54 ,died October II, 2007 in South Australia, of cancer. My brother had been experiencing discomfort for a few months prior to being diagnosed with cancer. He underwent surgery and initial results were positive, however a scan six months after the initial diagnosis showed further cancer. At this stage Brenton told me that death was a high probability. Rainwolf-Brad-Horn, 47, died February 10, 2008 in Tonasket, Washington State, USA, of cancer. My husband Rainwolf’s story is certainly an inspiring and courageous one. 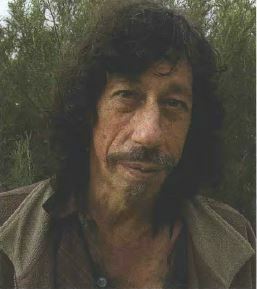 About six months after I came to the Dharma [in the Fall of 2006], Rainwolf developed an interest in Buddhism himself. At that time, he was dealing with esophageal cancer for the second time in seven years. … We lived in a rural setting, where I continue to live. We had to drive hundreds of miles, and be away from home for months at time, while he was undergoing desperate treatments. One night, while we were alone in the home away-from-home that his kind brother and sister-in-law had provided for us, he asked me what I was reading. I knew very little of the Dharma at that time, and most of that was from books by His Holiness the Dalai Lama and others I was slightly familiar with. Until then he’d not shown much interest in what I was reading or doing. That night, he set down his Time magazine, met the Dharma for the first time, and virtually never looked back. So when my mother died March 15 this year and people suggested I must be taking it hard, as many did, I was reminded of His Holiness’s words. 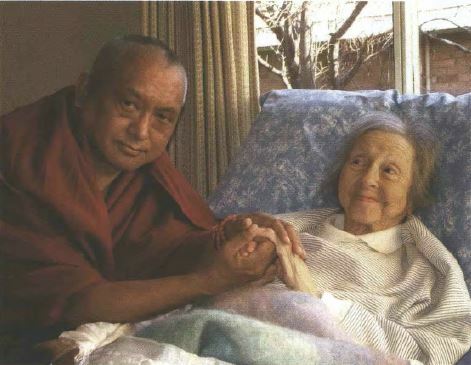 Not that she was the mother of anybody holy, but she did have a long and happy life, was devoted to the Dharma for her last thirty-five years, was ready to go, had a swift and relatively easy death, and from the moment it came had Lama Zopa Rinpoche doing pho-wa and other prayers for her. In addition, many other lamas have been doing prayers and pujas, and at a recent teaching in New Delhi, which I was able to attend a few days after Mum’s funeral, His Holiness the Dalai Lama blessed her ashes. Also, her old and close friend, Ven. Konchog Dronma (Bonnie Rothenberg), who lives in Dharamsala, immediately organized many prayers and pujas at Gyüto and Gyümed Tantric Colleges and Kirti Gompa and many other merit-generating things as well. 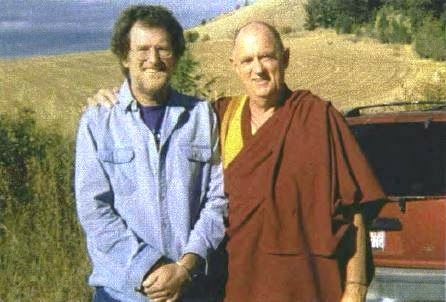 Finally, Lama Zopa Rinpoche had very kindly visited mother at her home in Melbourne in 2006 and felt that mentally, she was in a great place and had nothing to worry about. Read Lama Zopa Rinpoche’s special tribute about Beatrice.